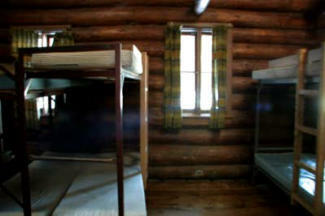 Youth: Cabins accommodate 38 in bunk beds with separate sleeping areas for male and female participants. The cabin has electric heat, electric lights and cooker, indoor washrooms and is accessible for those with mobility issues. Adults/Scouters Scouters are not required to attend with their youth we will have enough Scouters for ratio. The FOCUS program itself is completely youth led and delivered. Scouters are welcome to stay for the weekend but are not able to participate in the FOCUS program. You are welcome to observe the program and it can be a great forum for peer to peer discussion on program development and execution with other Scouters. You may also take time to visit the Scout Shop or just sit back and relax.